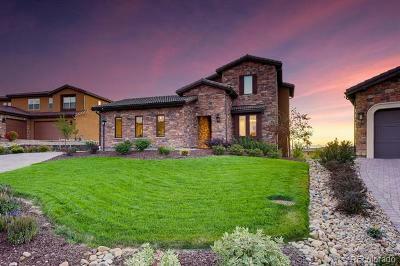 Welcome to this amazing home with both city light & foothills views! 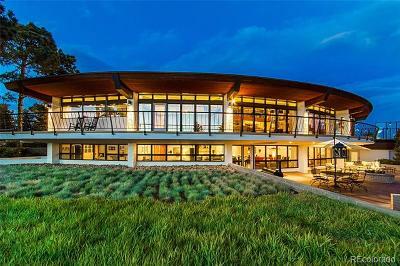 This is a complete, high-end rebuild with thoughtful, quality finishes from top to bottom. The open, spacious & sunny main level includes an beautiful kitchen w/ gas stove, center island & granite - perfect for today's style of living. All new features such as lofted ceiling, skylights, over-sized window, hickory floors, gas FP, & a floor-to-ceiling sandstone stone wall create a warm, bright & cheery atmosphere. The master suite features a claw foot soaking tub & private doors to deck. The lower level has a guest room, laundry room, 3/4 bath and family room with floor-to-ceiling stone wall & hearth w/ wood burning FP. Lovely outdoor spaces include a deck & large stone patio. The home sits on just over an acre of flat, usable land, on a corner lot with fencing. Don't forget the over-sized 3 car heated garage & paved 1/2 circle drive. 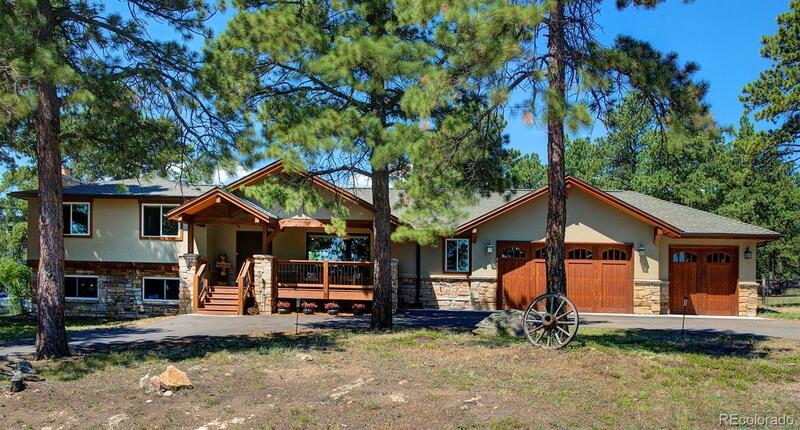 This complete renovation is a perfect, gorgeous mountain contemporary home!